Hitachi Elevator (China) Co., Ltd. 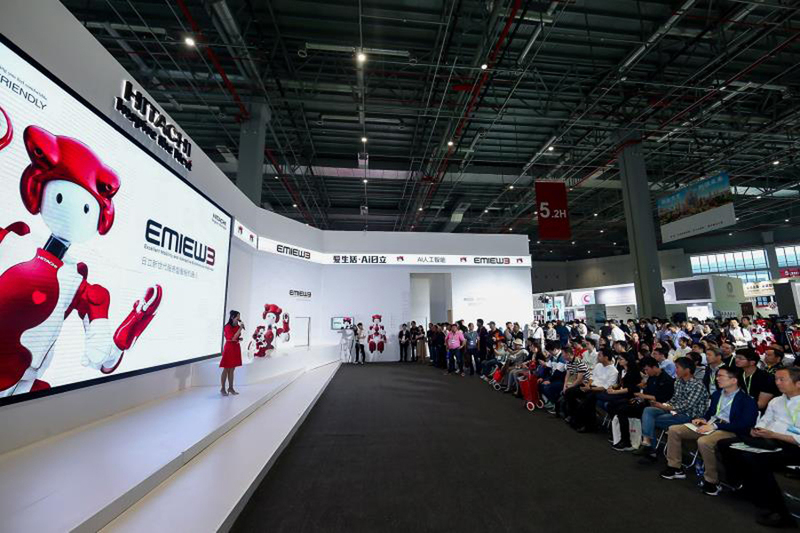 The 13th World Elevator Escalator Expo was opened at the National Exhibition and Convention Center (Shanghai) on May 8, 2018. Hitachi Elevator (China) Co., Ltd. (HITACHI Elevator in short), taking "Love for Life and HITACHI" as the theme, showed a full range of the latest products, technologies and solutions including Hitachi World's highest-speed elevator, DFRS (destination floor reservation system), TX escalator, on-demand platform and intelligent robot EMIEW3, so as to share the company's big data, facial recognition and AI technologies and enhance the scene application, reflection and exploration of people's good life experience. In this exhibition, HITACHI Elevator displayed a comprehensive building solution that integrates a large number of technologies represented by artificial intelligence. An example could be referenced, CTF Finance Centre, which integrated Hitachi's most advanced building solutions, including the world's fastest elevator technology to improve the vertical mobility of the tallest building in Guangzhou, making it possible to ascend from floor 1 to floor 95 (440m) within only 43 seconds using an elevator with a speed of 1,260m/minutes. Through HITACHI's Group Management System and DFRS (destination floor reservation system), passengers would know in advance which elevator to take and reach the destination floor in the shortest time, thus diverting the transportation volume, improving efficiency and reducing energy consumption. This technology, based on the "passenger flow analysis" which is used for statistics and prediction on passenger flow, makes full use of information such as elevator operation data, passenger movement data, building equipment data and building layout data gathered by HITACHI in the past 100 years of elevator business and the transportation solution perfectly implemented by AI. 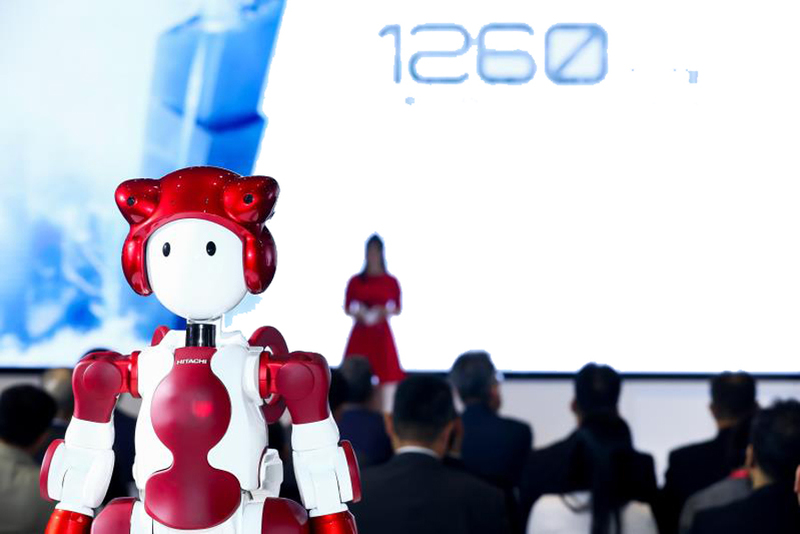 In the foreseeable future, the advanced manufacturing, driven by new technologies such as big data and artificial intelligence, will be the main force to boost the long-term healthy development of China's real economy. In this context, the elevator market is gradually entering the era of AI. HITACHI Elevator, relying on Hitachi's leading position in OT (Operational Technology) and IT (Information Technology), aims to make building transportation smarter and safer through AI and promote sustainable urban development. The government work report this year stated that it's required to renovate the "village in the city" and old residential areas in an orderly manner, improve the supporting facilities and add new elevator to any qualified buildings. The installation of additional elevator was included in the Government Work Report, which marks that the policy centering on people's livelihood has created a new market space for the elevator industry. At the exhibition, Hitachi displayed the model of additional elevators to the existing buildings and introduced the five most common forms and solutions, providing different hoist way installation methods depending on the actual situations of the buildings, to flexibly meet the market needs. Digital solutions were presented on the site to help clients upgrade the intelligence level of buildings and provide intelligent butler services. So far, Hitachi has provided maintenance for 287,000 elevators in China, over 170,000 of them connected to the remote monitoring system. Based on big-data AI analysis, considering the elevator’s operating frequency, service environment, fault condition, detection result of the remote monitoring system and life-span of components, the system performs a statistical analysis according to the design life and running frequencies of core components to pre-diagnose any elevator failure. For components and parts that have met their design life and running frequencies, the system will guide the relevant engineers to carry out particular inspection and confirmation in daily maintenance, and replace the parts in advance. In such a way, the traditional maintenance is made more efficient and scientific to keep the elevator in good condition. HITACHI Elevator is paying close attention to the issues caused by the aging society and the renewal of urban life functions. It actively supports the development of urban renewal and upgrading in China, enriches the service content of elevator addition, transformation and maintenance, and gradually shifts focus to higher-quality products and services as well as customer values, so as to create new economic values and solve social issues more efficiently. ©Hitachi Elevator (China) Co.,Ltd. 2009-2018. All rights reserved.